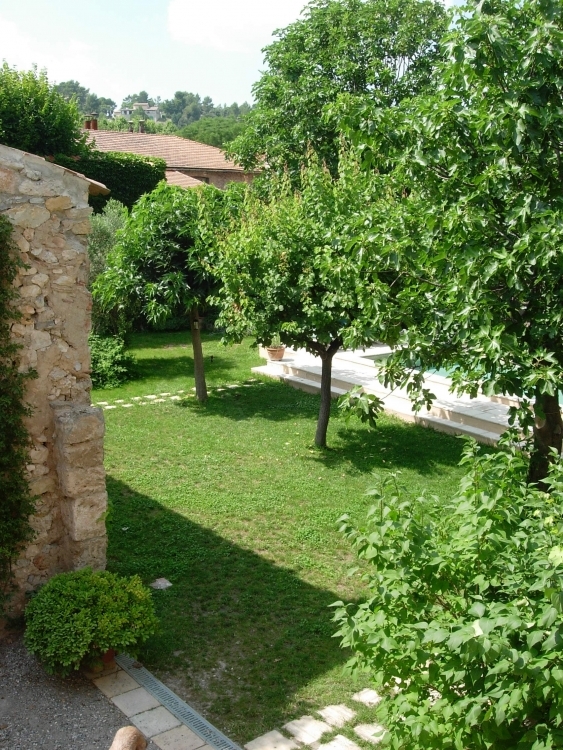 Home / Houses / Large & luxurious Provencal village house with secluded garden and pool. The Court Yard - just next to the kitchen serving window/hatch. Ideal for long balmy suppers. 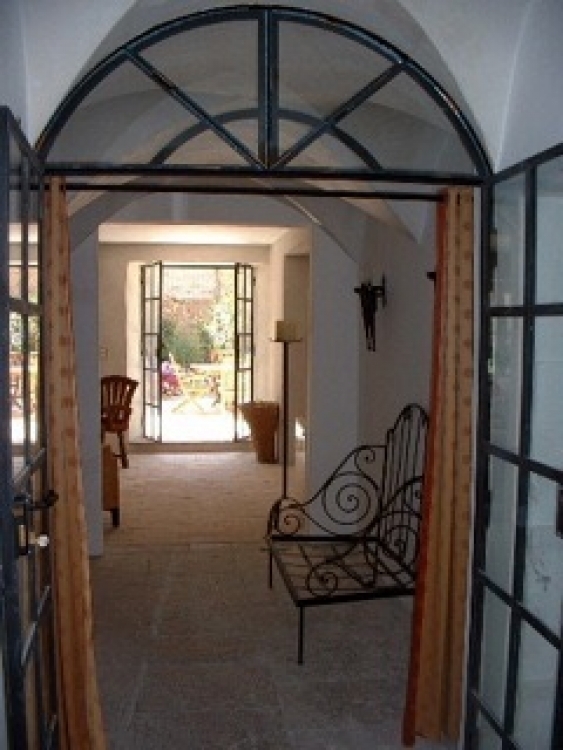 The entrance hall leading to the lounge, kitchen and garden: flagstone floors, vaulted ceilings, wrought iron doors. 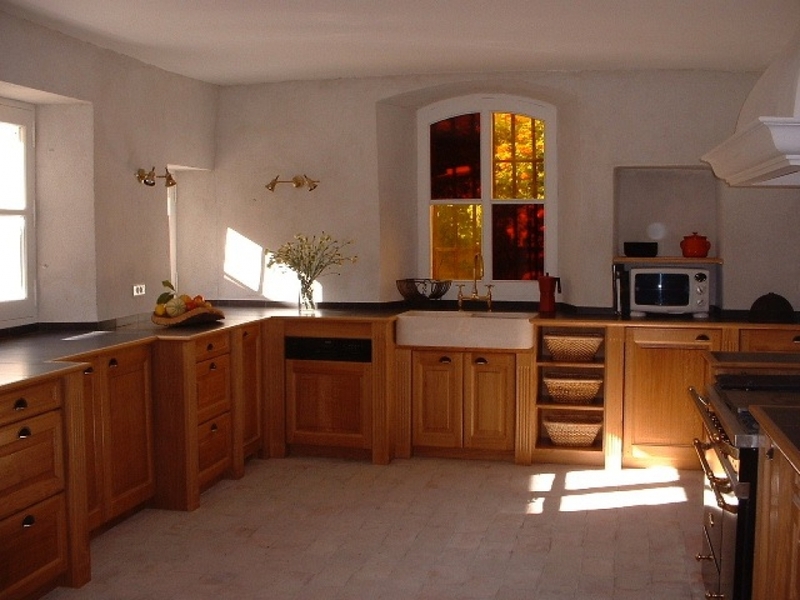 The semi-professional Kitchen: two stone sinks, solid brass fitments, granite worktops. The La Canche 'piano' gas cooker - The Rolls Royce of French cookers. The pool (7 x 3): cement built, chlorine cleaned and fitted with a 24/24 alarm. The terrace at the far end of the garden - ideal for breakfast in the early morning sunshine. Fresh figs from the garden for breakfast! Bedroom one with en-suite (power) shower room and air con. Bedroom two with steps to the bathroom with roll-top bath and (power) shower unit in solid brass. Bedroom three illustrating the twin-bedded configuration. This too has air con. 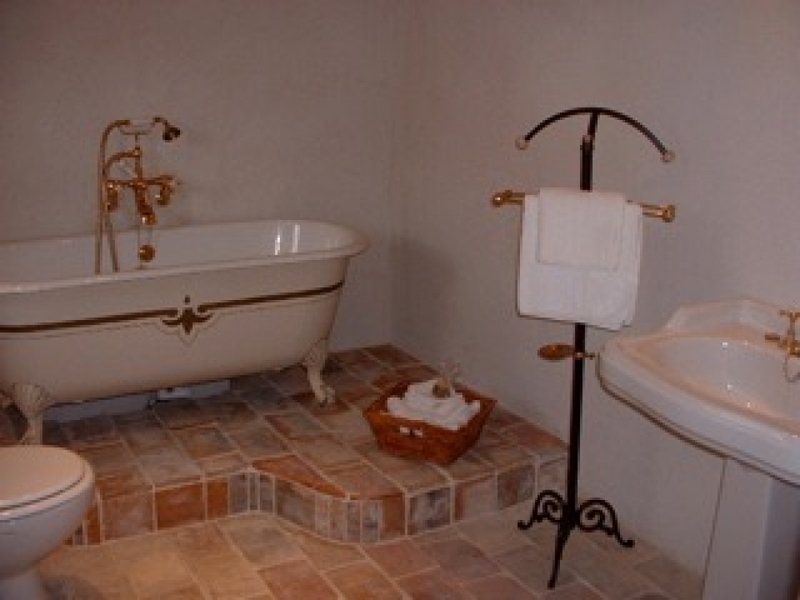 The one bathroom with a bath & (power) shower unit. 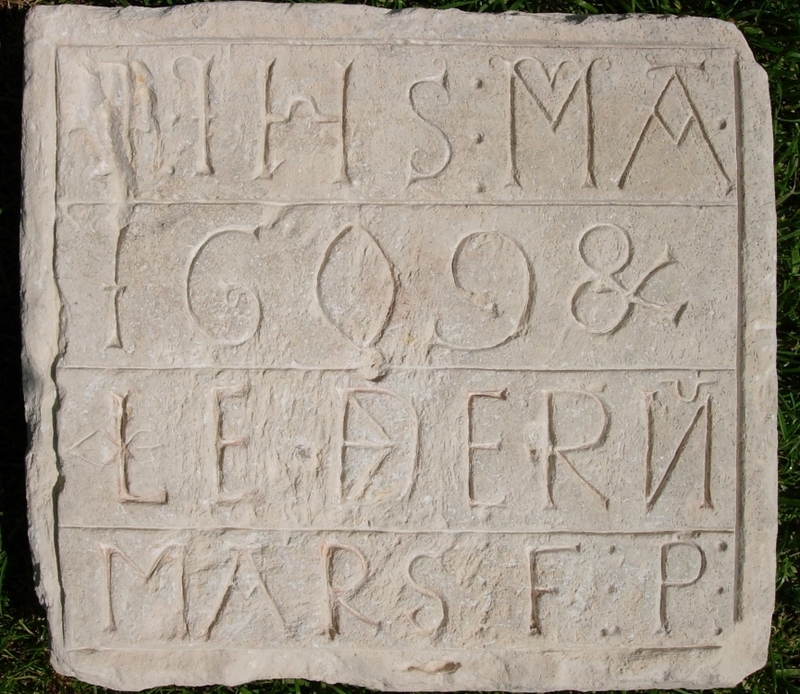 An engraved plaque discovered in the house commemorating the build date of the house of 1609. 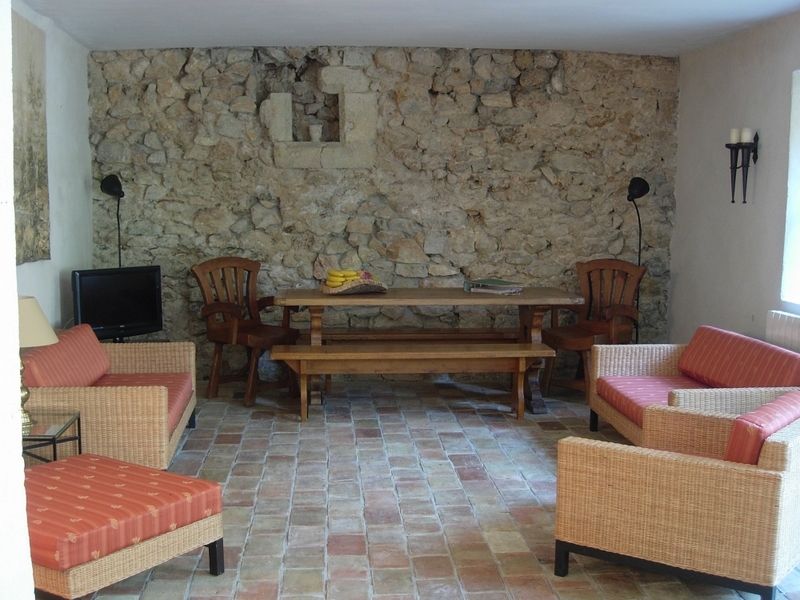 As you step onto the flagstone floors of this 400 year old ‘Maison de Maitre’ you’re immediately aware of history and luxury. From the vaulted hall you enter into a stylish living/dining room which is separated by an archway from the very large and well-equipped kitchen. 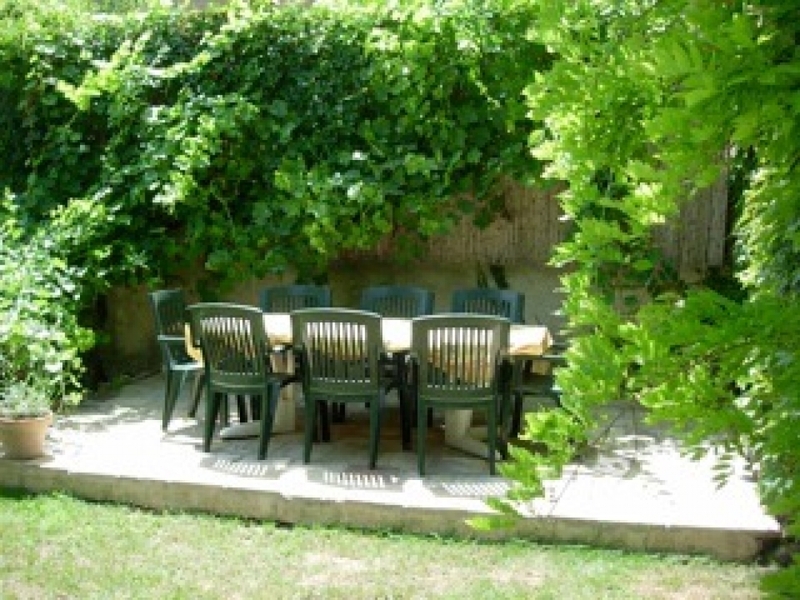 Both have access to the charming courtyard (great for outdoor eating and use of the barbecue) which leads into the walled garden. In this oasis of relative calm you sunbathe on the terrace, find shade under the fig or apricot tree or take a dip in the roman-basin style pool. 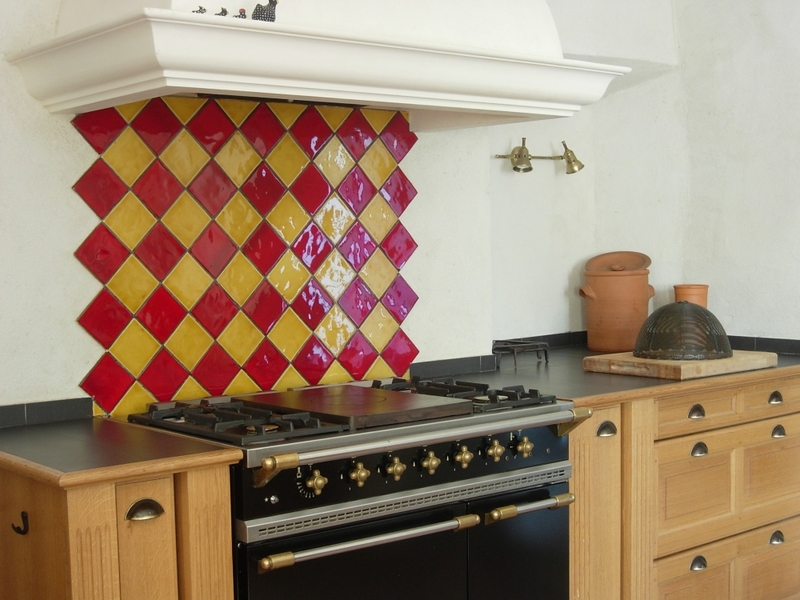 Throughout the house, the décor is simple and stylish with the original features having been carefully restored with local materials in authentic Provencal style. 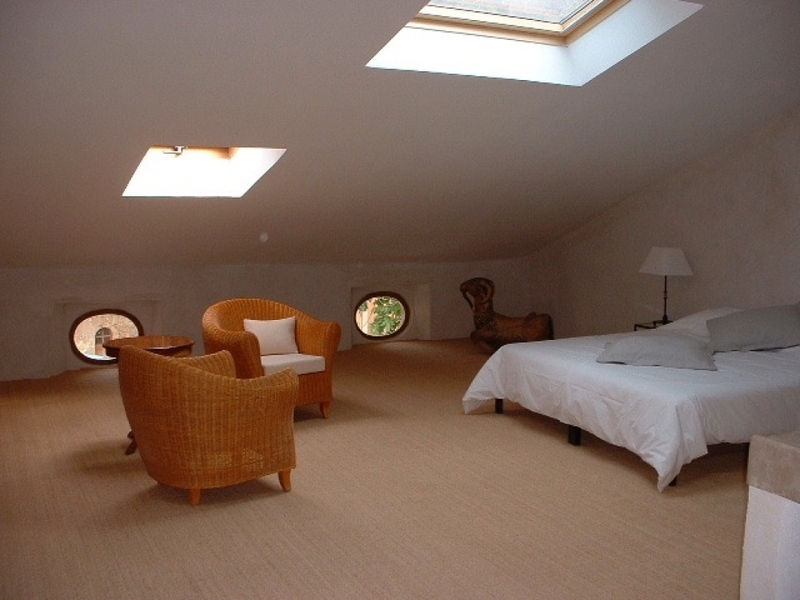 Each of the five double bedrooms is very light and airy, and has its own private bathroom with power shower, solid brass fittings and hand made basins (by the master potter next door). 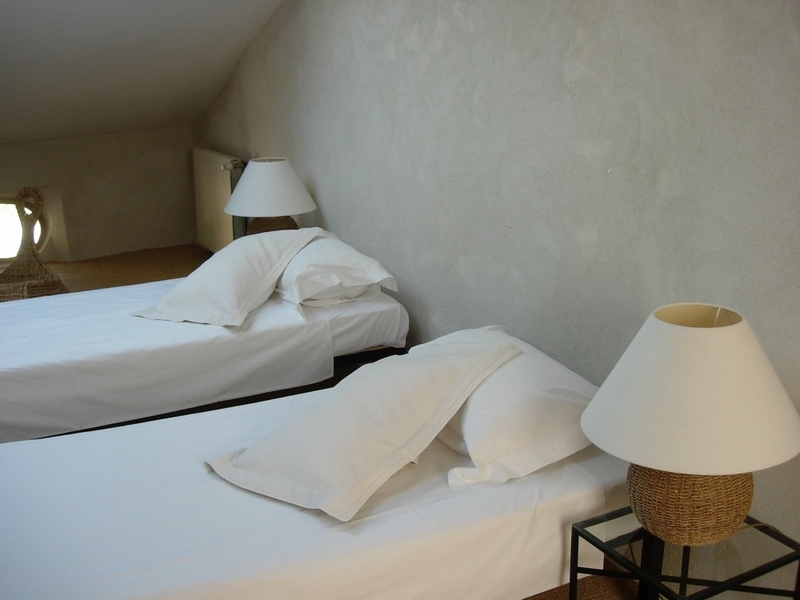 Each of the rooms can be made up with single or super-king-sized double beds. Air-conditioning is fitted to the two front bedrooms where the sun is it's most intense all day long. The kitchen on the ground floor has been designed with communal cooking in mind … it has six meters of work surface, two spanish-stone sinks, and a ‘La Canche’ five burner piano style gas cooker. 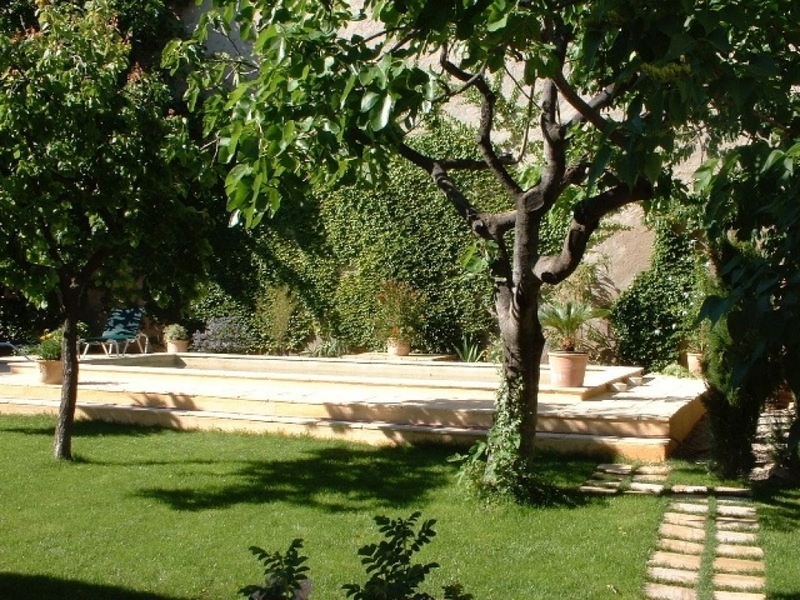 There are two terraces ... one just outside the kitchen, the other at the end of the garden. Clients normally eat all their meals outside; at breakfast the air is beautifully fresh (before the Mediterranean sun becomes intense) and the evenings are wonderfully long and balmy. 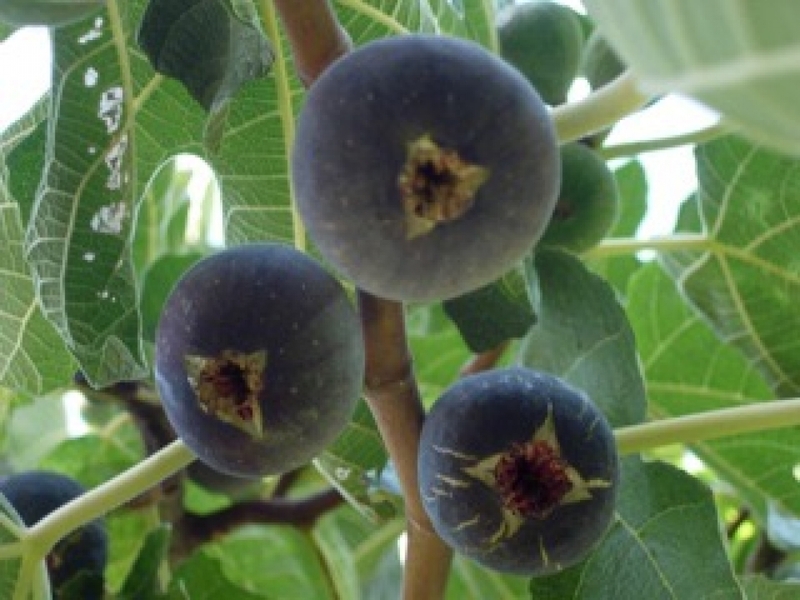 There is a fig and apricot tree in the garden which offer good shade for those that seek it, and delicious fruit when the season is right. There are six luxury loungers around the pool. 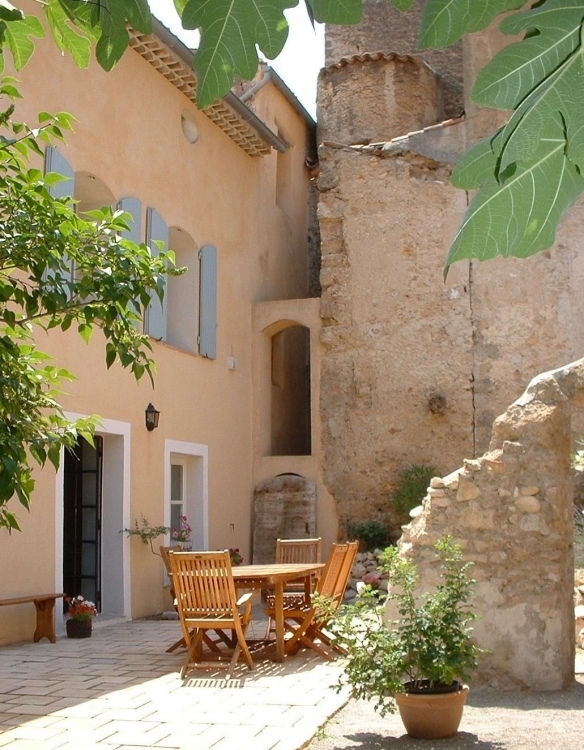 The house is situated on the main ‘Place’, at the very heart of this small but active and very authentically French village. Across from the house is the local boulangerie, boucherie, bar, corner shop and restaurant. Five minutes walk away is a pharmacy, boules and tennis court, and park with a dedicated children’s play area. Parking is plentiful and free just around the corner from the property. They say in the tourist offices here that the area is 'blest' with sunshine 300 days a year. It’s not true. It’s more than that. The village of Varages (famous for it’s production of ‘Faiencier’ i.e. 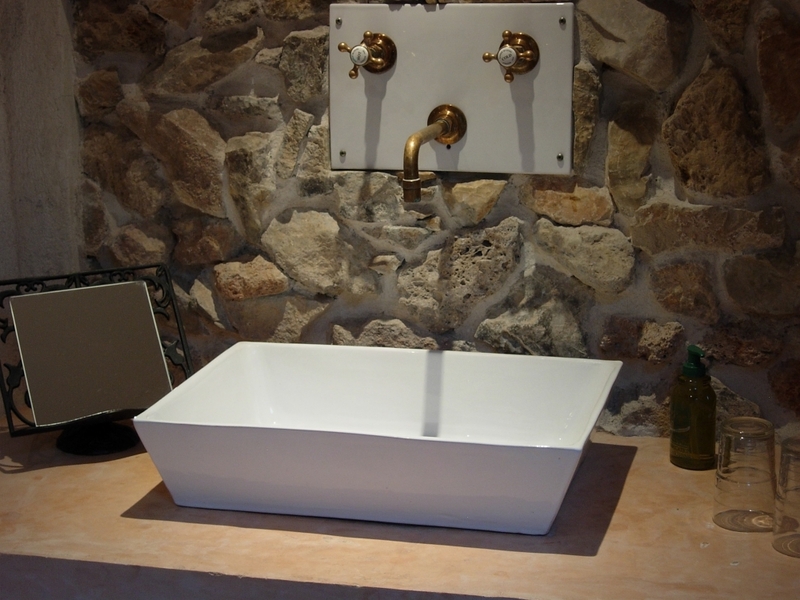 fine pottery) is in the middle of the diverse attractions of this part of Provence. Go north for 20 minutes and you find the ‘Gorges du Verdon’ ... Europe’s Grand Canyon: 25 kilometers of lakes and rivers. 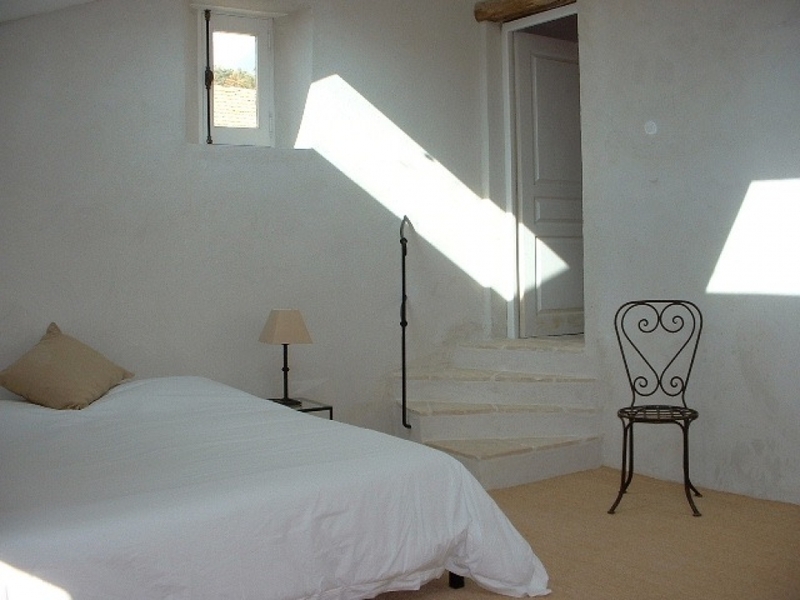 Go south and you have the sophistication of the Cote D’Azur … St Tropez, Cassie, Cannes etc. 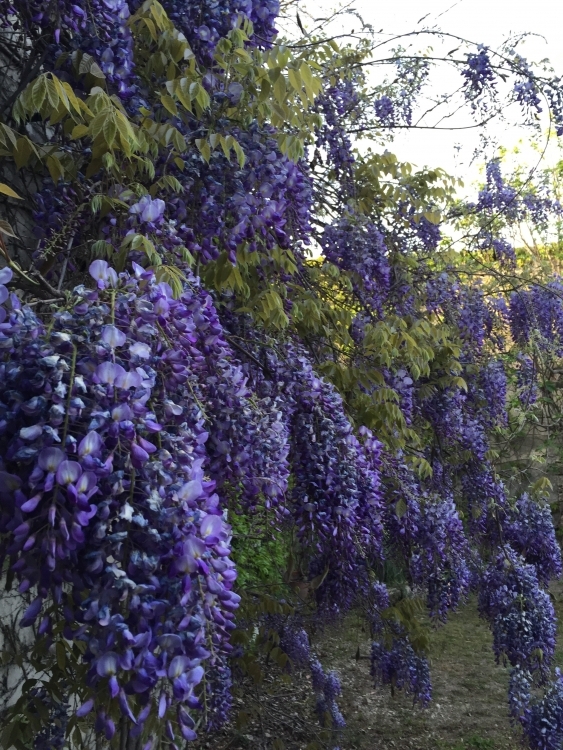 Out west is Aix-en-Provence, said to be the most beautiful city in Europe and all around the village are endless olive groves and vineyards dotted with lost-in-time medieval villages. Communications are great. The village is just twenty minutes north of the A8 motorway which runs across the south of France from northern Italy to Spain. And within 60 minutes drive there are two international airports and the TGV rail line to Paris. There is a 70m2 basement which in the summer months remains about 10 degrees cooler than the very often very hot outside. This is a brilliantly useful for keeping various food stuffs cool. A non-refundable deposit of 30% of the total rental cost is paid at the time of reservation. If the holiday booking is for a longer period than one week, on the middle Saturdays the property is cleaned for two hours at no expense. Every other morning early the garden is watered and the pool cleaned. 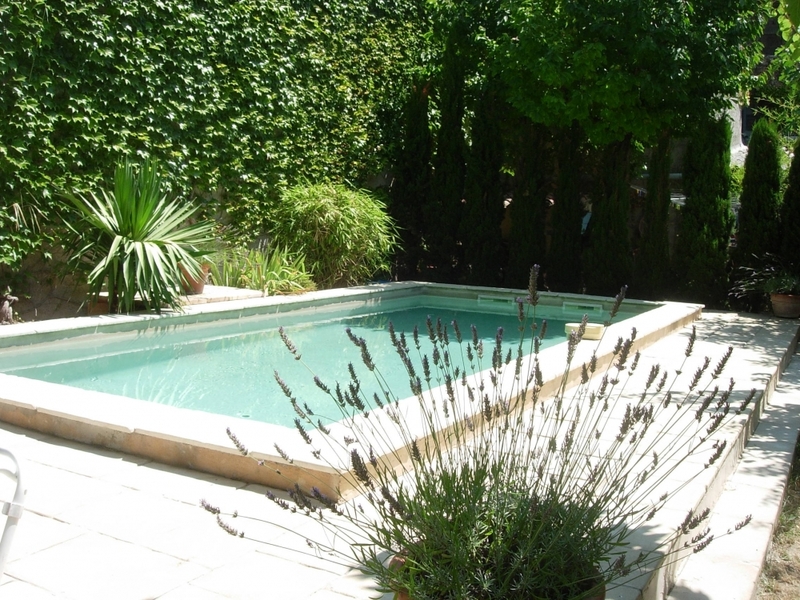 The village of Varages is in the middle of the diverse attractions of this part of Provence. 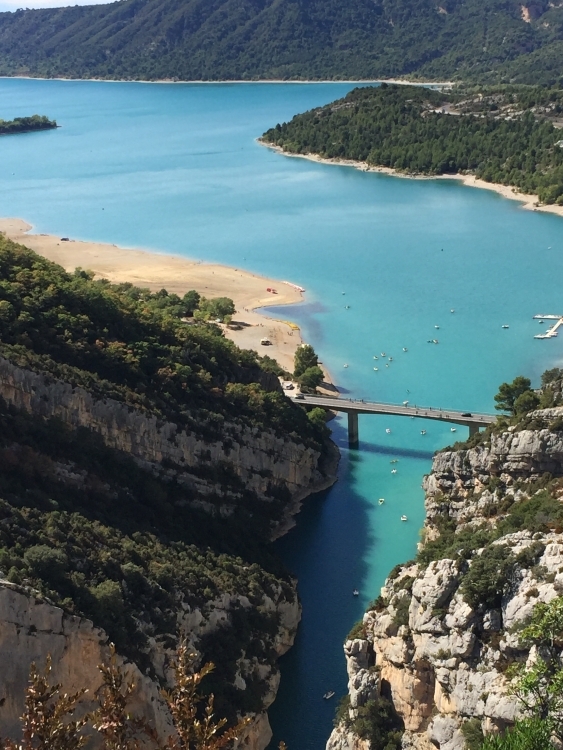 Go north for 20 minutes and you find the ‘Gorges du Verdon’ ... Europe’s Grand Canyon: 25 kilometers of lakes and rivers with a diverse range of water sports. Go south and you have the sophistication of the Cote D’Azur … St Tropez, Cassie, Cannes etc. 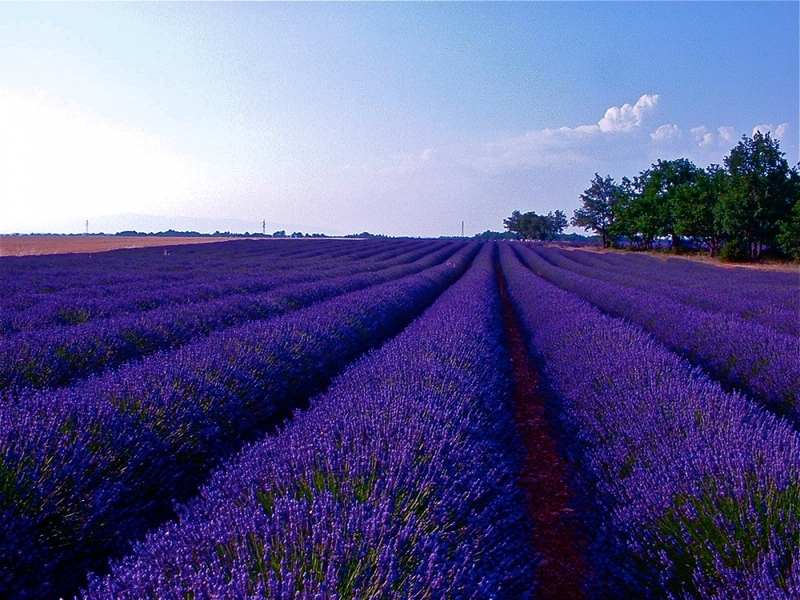 Out west is Aix-en-Provence, said to be the most beautiful city in Europe and all around the village are endless olive groves and vineyards dotted with lost-in-time medieval villages.